So if you follow our blog posts, you may remember that after watching the NFR in 2017 I got a bug in my britches that I wanted to learn how to team rope. 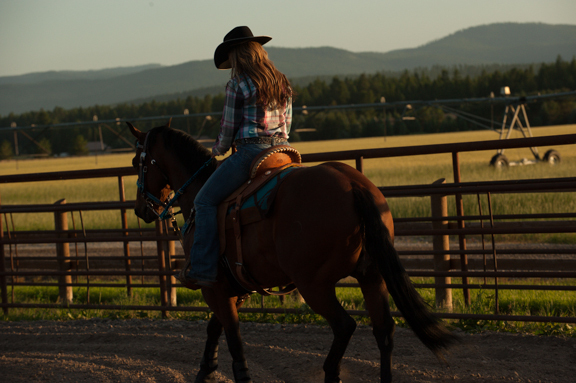 Well… just a few weeks ago, I took a beginners roping clinic! The older I get, the more I realize how crazy it seems to learn something new, especially on a horse. Since I’m either too stubborn for my own good, or I’m just nuts, I signed up for a clinic with a local clinician. 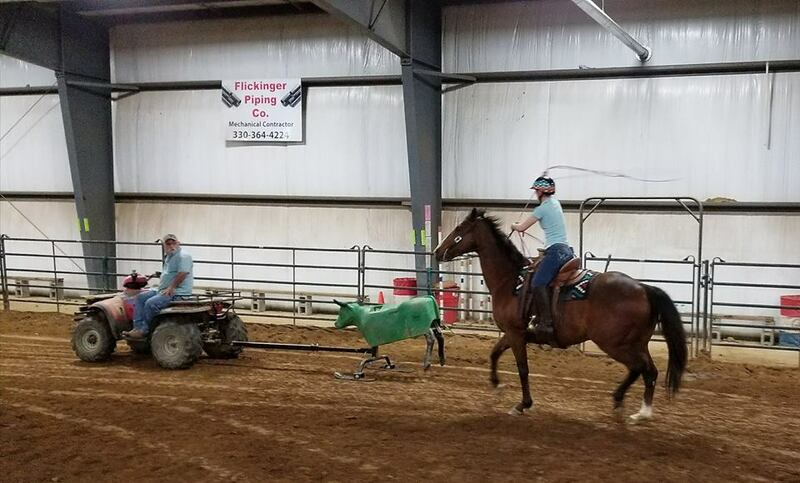 I will clarify that prior to the clinic, I did purchase a roping dummy and a lariat so I could practice at home and at least get my horse used to swinging something around his head. As for any formal training, neither he nor I had any experience when it came to roping. 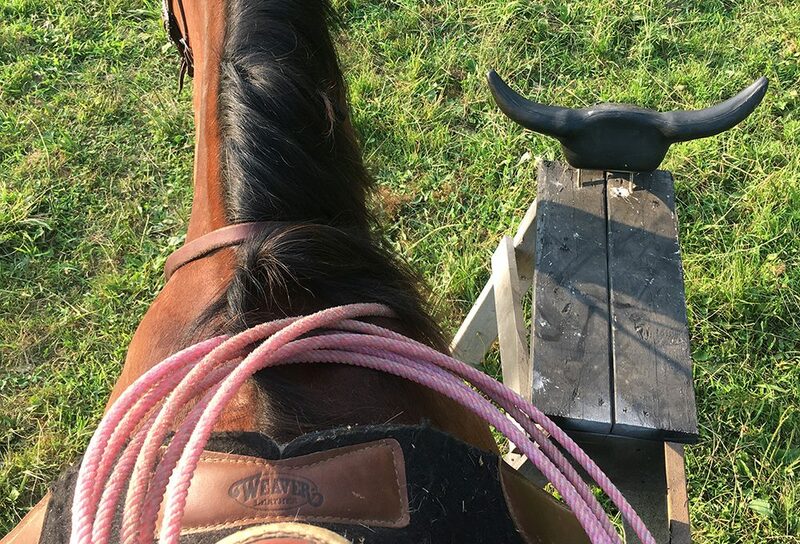 Any roping trainer will tell you, learning to manage your rope is the first step. We started on the ground, learning to coil the rope, how big your spoke and loop should be, eventually moving on to making the loop bigger. I worked on my technique and follow through with my swing until I could consistently catch on the ground dummy. It was time to go horseback! I’m not going to lie, roping on the ground is a LOT easier than roping in the saddle! There were so many moving parts that you have to keep track of between the coils and reins in your left hand, trying to swing your rope in your right hand AND keeping your horse moving in the correct position towards the sled. 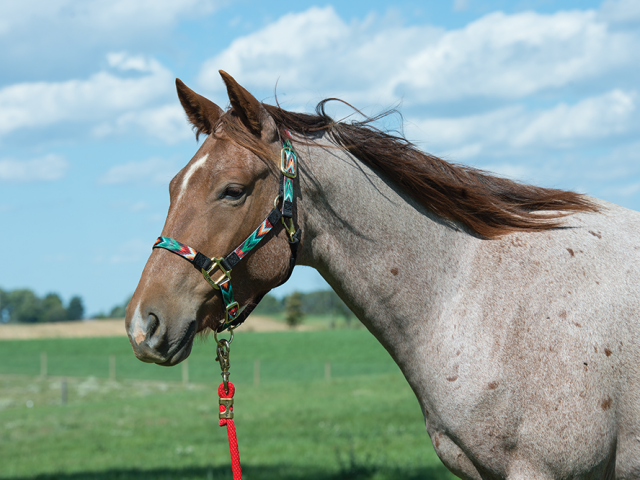 Granted, having an experienced roping horse would have helped with that last step, but as you well know by now, I am stubborn and both my horse and I are up for anything! So I’m swinging my rope and we’re tracking the sled. As you can see in the picture below, my horse has a high head carriage, especially when he’s trying to figure something out. Between my novice roping abilities and his head set, I spent the first couple of laps trying not to smack Indy in the head with my lariat. I then began to realize why all these ropers ride short horses with low headsets, because it is MUCH harder to rope off a giraffe! Brittany and Indy learning to rope at a local clinic. At the end of the day we were able to pull it off! We could track the sled with confidence; I could swing my rope without hitting Indy and catch the dummy! I guess it all boils down to motivation. I was motivated to learn a new skill and try our hand at roping. Leaving your comfort zone is scary but just imagine the places it will take you and the experiences you will have! Indy and I have been practicing our roping skills at home (with a tie down) and hope to one day compete! Who knows, maybe you will see me at NFR on a horse instead of sitting in the grandstands. Until then, go out and try something new with your horse!